Flu 2018: “Super Deadly Strain”? WEAPONIZED FLU? YES! AND WEAPONIZED VACCINE! 1200 TX Deaths? Surely You Jest! Everything is bigger in Texas, including the lies. There is no way in God’s Green Earth (covered with snow or not) that 1200 people died in Texas last week of the flu and it was worth only a passing note on one channel! That’s 4.24 Boeing 757’s. And only ABC noticed? ABC whose medical news is DIRECTLY controlled by the FDA/CDC Deep State? That ABC? 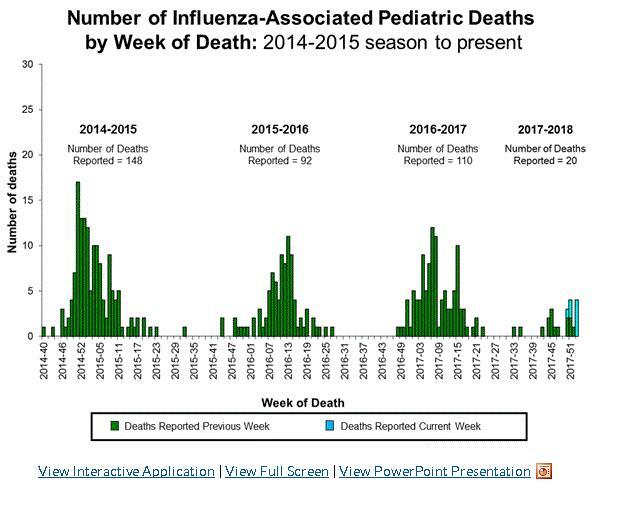 So, touting the importance of getting a flu shot that is for another strain of flu than the current one circulating, containing mercury, aluminum and God Knows What Else, the CDC bemoans the fact that SINCE OCTOBER, 2017, 30 kids around the country might have died from what MIGHT be the flu. 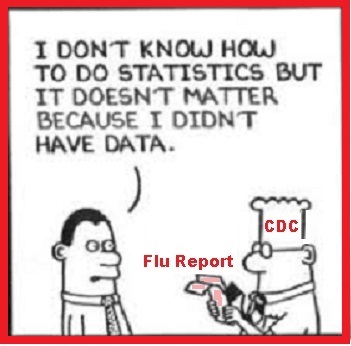 Are you surprised that ABC ran with the story that right now, this week, 30 kids died “from the flu” so you should “get your flu shot” despite the fact that it has nothing to do with this year’s flu? You should not be. Wait! Wait! what happened to the 1,200 dead people? Not only dead, it would appear, but forgotten. And in the UK, kids should get vaccinated twice to “protect” Granny. Wait! Remember 2009’s Swine Flu? When THEY were ready to require every man, woman and child in the US get the vaccine, complete with the squalene adjuvant, a substance that the US Government holds patents on to induce sterility and infertility? And remember when we roared, “NO! DON’T YOU DARE!” and they dropped that obscene program? Well, it’s time to roar again. You have the right of Informed Consent by using an Advance Vaccine Directive NO MATTER WHAT THE LOCALS TELL YOU – THEY ARE LYING. They could be your school board, your employer, your doctor, anyone. The fact is that you are protected against medical coercion by the law of the land, and international law. The right of Informed Consent must be asserted correctly or it is deemed waived. The Advance Vaccine Directive Card asserts your right correctly. And here is where you get the immune support that anyone thinking about how to not get the flu needs: http://NSFmarketplace.com. Because the Deep Corporate State is not happy to have you assert your rights and protect yourself, you will have to send us a check because THEY do not want to make this easy for you. They cut off our credit card processing again. We are looking to fix it, but you need the Advance Vaccine Directive and Nano Silver 10 PPM now. Make your check out to Natural Solutions. Supplies are getting really, really low and it takes time to get more! Or Is That Just Goverment Propaganda?